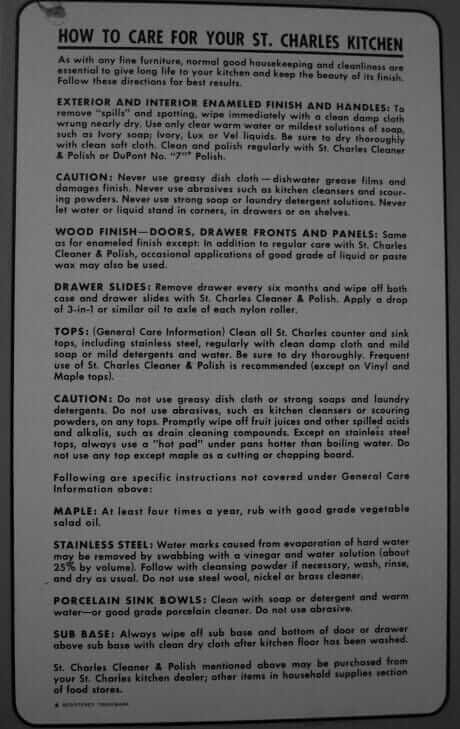 Reader Erika Rae found these instructions about how to clean St. Charles steel kitchen cabinets, enameled right inside of one of her cabinet doors. I presume these instructions still hold. Errr, umm, does anyone know where to get St. Charles Cleaner & Polish? Interestingly — if you look at my cabinets, there *is* rust on the bottom of the base cabinet doors, close to the floor. 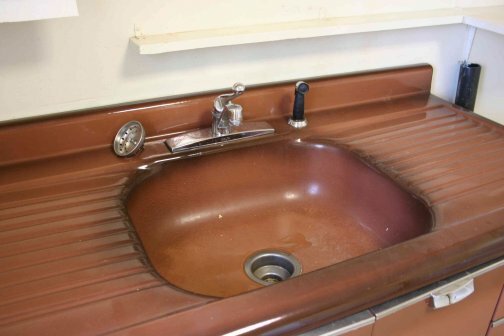 Ahhh, the janitors at the cooking school (my cabinets’ original home) did not take care to “always wipe off sub base and bottom of door or drawer above sub base with clean cloth after kitchen floor has been washed.” Alas, but fortunately the rust does not seem to be spreading. Thank you, Erika Rae! Meanwhile, this is a good opportunity for Renovate-Safe-Pam to remind readers: Remember that old painted surfaces on metal cabinets (and other places in your home) may contain lead (and asbestos may be elsewhere in our vintage homes, etc. ), so take responsibility to inform yourself and consult pros about proper attention to environmental and safety issues. For example, the EPA hosts a website on lead in the home and a website on asbestos in the home. 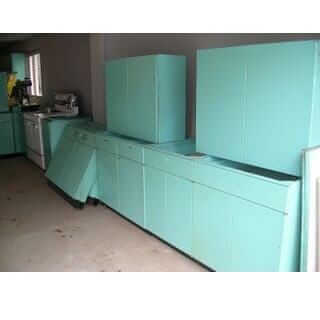 I just bought a whole kitchen set of Lyons metal cabinets. I have been getting estimates on how to restore them from powder coat finishing and the price is around $5000.00 which I cannot afford. What are other options for having my cabinets painted and restored? Debbie, I am not an expert on this issue. I suggest you consult with painting experts. Importantly: Be aware that old materials and products can contain hazards – be sure to consult with your own properly licensed professionals. For more info see our Be Safe/Renovate Safe page here.